Embalex offers the manufacture of all types of wood packaging for export. Why is wood the ideal material for your goods? 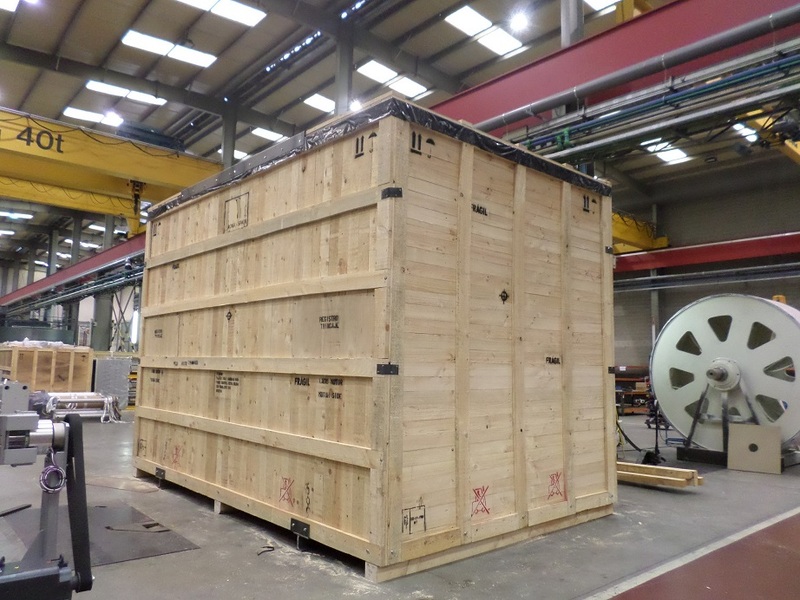 Wooden transport boxes are plywood, completely closed and very resistant, thus offering maximum protection for your goods with a solid and reliable packaging. Its qualities prevent any kind of damage during the transport operations of the packaged products. Wood, besides being the most ecological option, is an easily repairable material: if any of the pieces break, it can be easily replaced without having to resort to complete replacement. This type of packaging gives the customer a presentation that refers to the values of tradition and origin, being respectful of the environment. Thanks to the natural properties of wood, which act as a moisture regulator, wooden boxes are able to keep the product fresh for longer. The porous structure of the wood is a physical inhibitor of bacteria, which makes wood packaging for export a hygienic transport and perfectly suitable for coming into contact with food, as it limits the presence of bacteria in them. This type of characteristics are also important in the case of goods that have to remain for long periods of time in storage. In this way, wood packaging for export becomes the most appropriate, sustainable and responsible option for both your goods and the environment, as it is a natural, sustainable, recyclable and renewable product. What else can this material offer you? Wood is capable of adapting to the weight and volume of the pieces and is suitable for sea, land or air transport. Remember that you can protect your boxes with plastic covers, vacuum aluminium or VCI thermo-sealed to prevent corrosion. The manufacture of the boxes can be standard or, if you prefer, we can create custom wooden boxes and 100% customized. To do so, we invite you to access our custom wooden box configurator, where you only have to enter the measurements and number of units you need and Embalex will create the wooden transport box that best suits your needs.